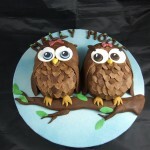 Owls are a popular theme, and this is the third owl cake I have made. 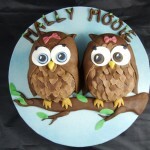 Two owls for two girls, twins nicknamed “Mally” and “Mooie”, although I don’t know their real names! 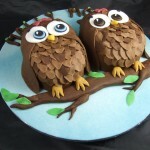 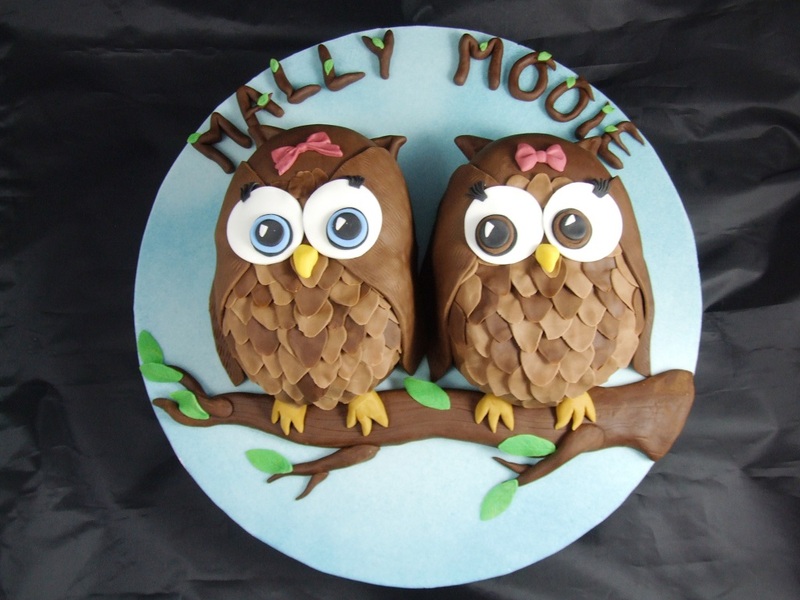 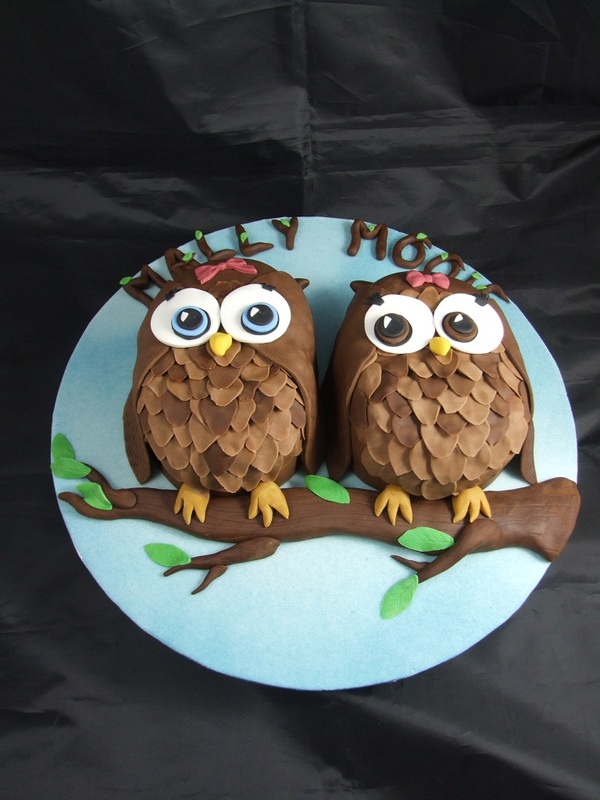 The owls are chocolate cake, and covered in chocolate flavored sugarpaste. 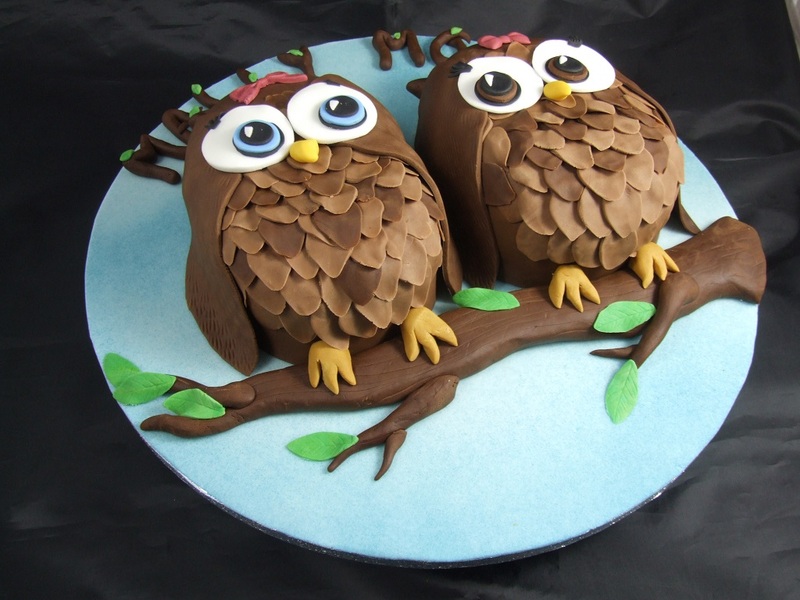 The branch is made of the same chocolate sugarpaste and the board is airbrushed.